The architect of the Indian Constitution, Bhimrao Ramji Ambedkar, while addressing a group of Dalits in a speech, exhorted them to understand that though education is the future, land is our present and our future. The Dalit activist and Tamil writer Palanimuthu Sivakami explains B R Ambedkar’s ideas about land and its vital presence in India. The former IAS officer has made it her mission in life to alleviate the deplorable condition of low caste individuals in our country. The land issues in Goa have not escaped her attention and in her estimation the lecture Ambedkar and the Land Question, at the Goa Arts and Literary Festival 2015, was one most pertinent at this moment in time. 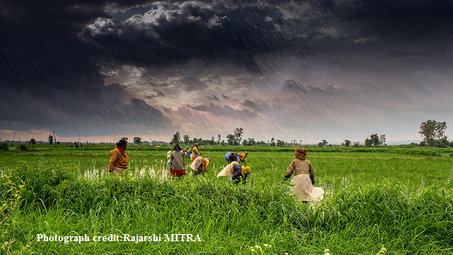 It is an undeniable fact that there is a link between the IAS and land. P Sivakami says, ‘Look at my case: if my father hadn’t had any land, I would not have become part of the IAS.’ A survey of IAS officers from Dalit and tribal communities would reveal that 99 percent of these officers have had land to support their education. Despite the free education available some money has to be paid every now and then. Most Dalits would not be able to afford this amount without the support of land. Pre-Independence India had the sole mainstay of agriculture as a livelihood. Individuals owning land were better able to ensure their children’s education and because the Dalits had no land they could not do the same. ‘So land is primarily connected with education. Talk about education and I will also include the subject of land,’ says P Sivakami stressing the significance of land. According to Ambedkar the smallness or largeness of an agricultural land holding was not to be judged by its physical proportions but by the amount of intensive cultivation in terms of capital, labour and other inputs that were invested in the land’s productivity. Industrialisation would accommodate surplus labour that could not be employed in agriculture and was important in this respect. Large capital investments would be used to build up agriculture. 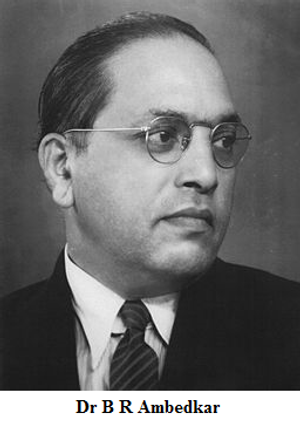 Ambedkar furthermore visualised the nationalisation of land or leasing out of land to individuals as part of a cooperative effort to promote agriculture. The scarcity and unequal distribution of land in India, and the country’s vast number of rural Indians below the poverty line make a strong case on economic and political grounds to support land reforms. After the 1950s a huge body of legislations regarding land were created by the central government. The land reforms under the Congress government are concerning the private ownership of one holding of land amounting to 45 acres per family. This is a considerable amount of land, although it may not seem so in terms of agriculture. We have no way of discerning the methods used to reach this decision which was arrived at during the Congress rule. If the number of landless labourers in India had been taken into consideration, the legislation would have been different. During the British rule the upper limit was 5 acres to a family of five. P Sivakami says of her campaigning for land, ‘I used to casually ask the people how much land would they like to have and they would say that if it was wet land then one acre will do. I would tell them to be greedy and ask for more. Then they would say laughingly 2 acres, but they would not mean it.’ The people were reluctant to petition for 5 acres or more for the simple reason that they believed they would not be able to invest in that amount of land in terms of money and labour. A conundrum is presented with the arbitrarily set 45 acres of land to a family and the desire of farming people to possess only 1-2 acres of land. This motivated P Sivakami to look into the history of land holding allotments. With the Permanent Settlement Act in 1793, the British government bypassed the mansabdars and zamindars, who were involved in misappropriating taxes that were meant to be handed over to the government, to deal directly with the farmers. It is the British who introduced the concept of private ownership of land to India through the Permanent Settlement Act. ‘If the (private) ownership of land was only allowed as late as 200 years ago then the State can intervene even now and limit its allocation to 5 acres, redistribute it or resort to State ownership of land in keeping with the suggestions of Ambedkar,’ says P Sivakami. The corruption that keeps land reforms from being implemented was clearly witnessed in the 500 acres of land owned and offered by a man in Coimbatore to Tata Motors in the midst of the Nandigram agitation against the company’s right to the land in that area. How do people manage to own such large land holdings avoiding the restrictions of land reforms? When the upper limit of land was introduced, after registering the land ownership under the names of various family members, it was the livestock and family pets who were named by owners of vast amounts of land to claim ownership. The rich have no need of land and will not invest in it. Instead the land is used to declare a loss when it comes to paying income tax. Government action is poor and can be challenged to work for people who really need land only through a strong movement by the people. Land needs to be distributed to people who are willing to use it for agricultural purposes and not just to anybody who might well sell it as real estate. Women’s right to land creates a situation wherein the decision of the woman to till the land or not needs to play a decisive role in the continued ownership of that land by that particular woman. Land for agricultural purposes would lie unattended since most women marry and relocate to a different area away from the land they assert a right to own. In P Sivakami’s fight against the caste system, and launching of the Dalit Land Rights Movement in Tamil Nadu, the activist has enthused over a lakh of people to write applications to petition for land and has achieved much progress in that respect in 28 districts (Tamil Nadu). The irony of land ownership of the past was that the Brahmin who could own land was not allowed to touch the plough but the Dalit who laboured on the land could not own it. The Permanent Land Settlement Act was to ensure the British received their dues. They were not interested in the condition of the Dalits working as bonded labourers and so did nothing to empower them. The scheduled tribes are in no better position than the Dalits where land is concerned with the Scheduled Tribes and Forest Dwellers Act (to preserve tribal land) being ignored or delayed in exercise. But the tide must turn now and people involved in agriculture as labourers should be given land free of cost. Nationalisation of land is called for, where land can be redistributed to those intending to engage in agriculture.